The death of the local merchant, Silas Deemer is felt by the entire community because of his faithful presence at the general store where everyone bought their goods. Well after his death and despite the store being closed, one evening, Alvan Creede, running on essentially automatic pilot, stopped in and bought a jug of sirup from the store. Upon coming home, he misplaced it and couldn't seem to find it. When his wife asks him about this, he explains that he bought it at Deemer's place. It's at this point that he remembers that Deemer is dead. He is just about feeling he is going crazy, especially since he can't find the jug when his child brings it into the room. The next evening, people gather around the shop. They watch and wait for something to happen but it doesn't seem to occur. Eventually, as night sets in, there is a dim light coming from the store. The light became brighter and eventually, one could see Deemer in the store. At this sight, many people ran away, but a few stayed and eventually entered the store. Eventually, everyone begins to storm into the store with the exception of Creede and he watches from outside as chaos ensues until the last person enters and then the light went out. He leaves immediately and only returns the next day with others. They check the salesbook and find that the last sale was on the day of Deemer's death. The final comment remarks that had the men not mobbed the store, Deemer might have continued to do business in the afterlife. 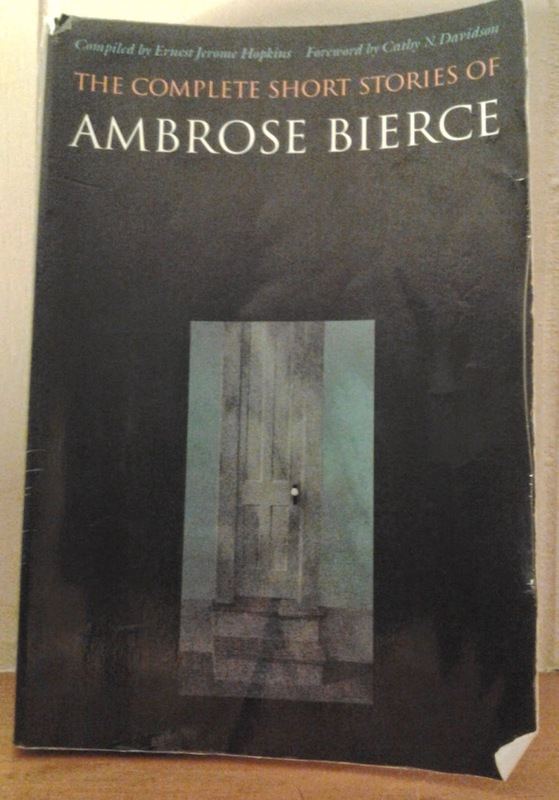 Another curious story from Bierce. I liked the idea of a community's automatic habits somehow playing a role in manifesting a person back into reality. This reminds me in part of stories and tales that speak to the power of belief and how it can forge or destroy reality. I also wonder about the name of Silas Deemer...given that he returns, wouldn't that make him a "Re-Deemer"?